SoftFoot Exercise Mat. A simple, rollable fitness mat. Select Size 3'x4'x3/8" 3'x4'x1/4" 3'x6.5'x3/8" 3'x6.5'x1/4"
Ideal fitness mat for aerobics, stretching, and other floor exercises. These fitness mats provide the extra cushion your feet and back need when working out on the ground. 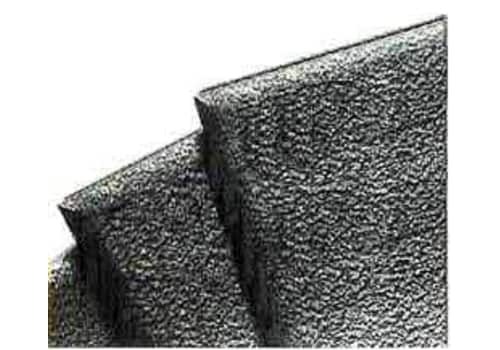 Superior stippled texture and anti-skid grip to prevent slipping. The closed-cell PVC vinyl material makes this mat impervious to water and extremely easy to wash and keep clean. Latex free. Hand washable. Color: Black. Our SoftFoot Exercise Mat is the ideal fitness mat for aerobics, stretching, and other floor exercises. These fitness mats provide the extra cushion your feet and back need when working out on the ground. Superior stippled texture and anti-skid grip to prevent slipping. The closed-cell PVC vinyl material makes this mat impervious to water and extremely easy to wash and keep clean. Thickness: 1/4" or 3/8" - providing superior thickness for added comfort.